Strong 1200 Denier triple weave outer. Waterproof strong and warm protection. Reflective strips for good visibility at night. 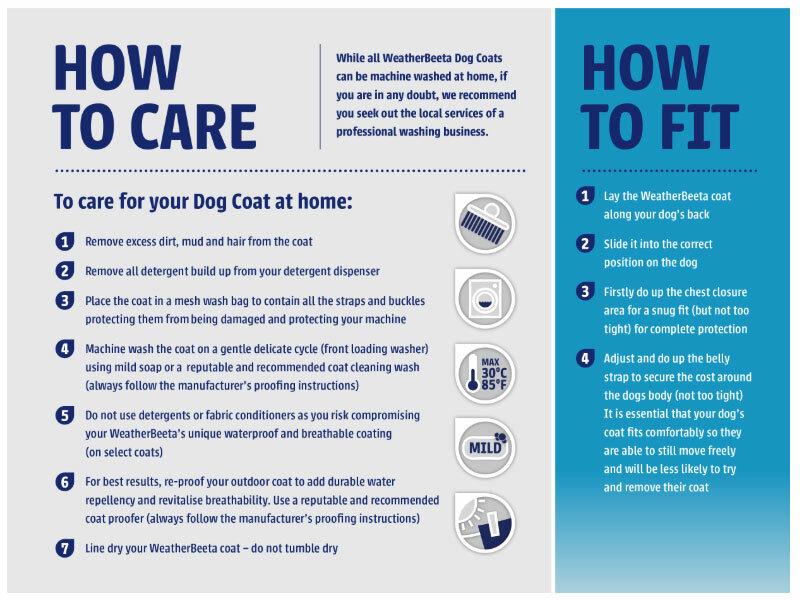 Long lasting waterproof and breathable dog coat with a 1200 denier triple weave strength outer, polyester lining and warm 220g of polyfill. Additional features include harness hole, adjustable touch tape chest and belly closures with reflective strips for added safety at night and extra visibility.